The Thin Green Line Foundation and Sumatran Ranger Project are delighted to announce that our project Community Ranger Conservation in the Leuser Ecosystem, Sumatra has been awarded an Australian Aid: Friendship Grant by the Department for Foreign Affairs and Trade. The Friendship Grant program is a three-year $10 million program that supports Australian community organisations to expand their development work in the Indo-Pacific region. 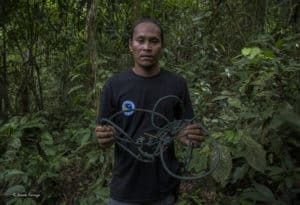 Building on our existing partnership and activity, the $50,000 AUD grant will support a team of Community Rangers to reduce degradation and protect keystone species in the forests of the Leuser Ecosystem in Indonesia, and in so doing contribute to Sustainable Development Goal 15 (SDG-15) to protect ecosystems and halt biodiversity loss. The 2.6 million hectares of the Leuser are one of the worlds’ richest yet most threatened ecosystems and one of the very last places on Earth where the Sumatran orangutan, tiger, elephant and rhinoceros co-exist. 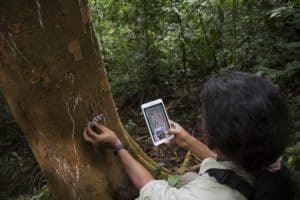 The ecosystem acts as a life support to around four million people yet habitat destruction has increased conflict with wildlife within the forest-edge or buffer zone communities of the Gunung Leuser National Park. These vital transition areas for wildlife are under increasing pressure from human activity, including palm oil cultivation, illegal wildlife trade, bush meat and logging. The Sumatran Ranger Project is a community conservation initiative that focuses on anti-poaching patrols and community engagement to deter illegal activity. 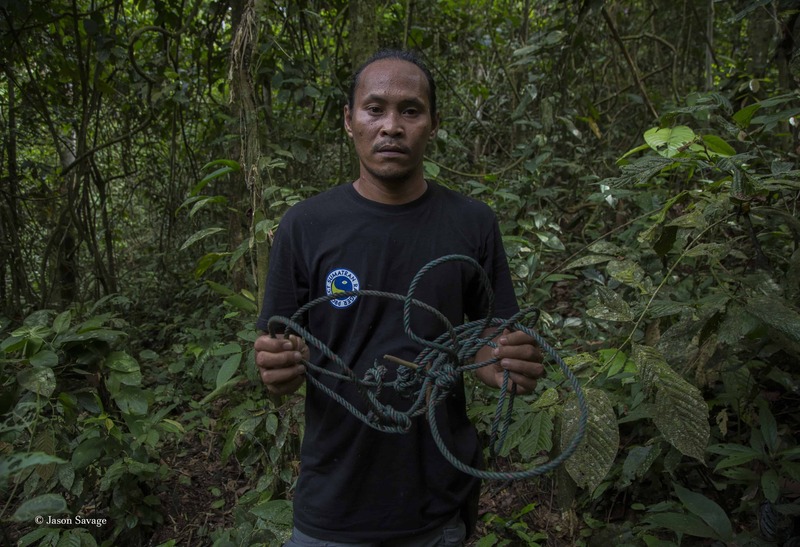 The Rangers work with local people to build awareness of conservation issues and determine how best to develop alternative, more sustainable livelihoods – such as seedling cooperatives, snare wire handicrafts and eco-tourism initiatives in communities impacted by elephant encroachment. 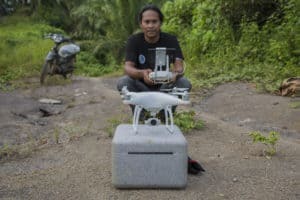 To date the initiative, co-funded by The Thin Green Line Foundation, has enabled Community Rangers to conduct monthly patrols in buffer zones, maintain camera traps for gathering biodiversity data, conduct drone flights to mark park boundaries and track human activity, and remove over 500 snares. Additionally, the project has undertaken a community workshop to assess the extent of human-elephant conflict in palm oil plantation communities and mitigate human-orangutan conflict as well as support professional development of the rangers through training and workshop opportunities. 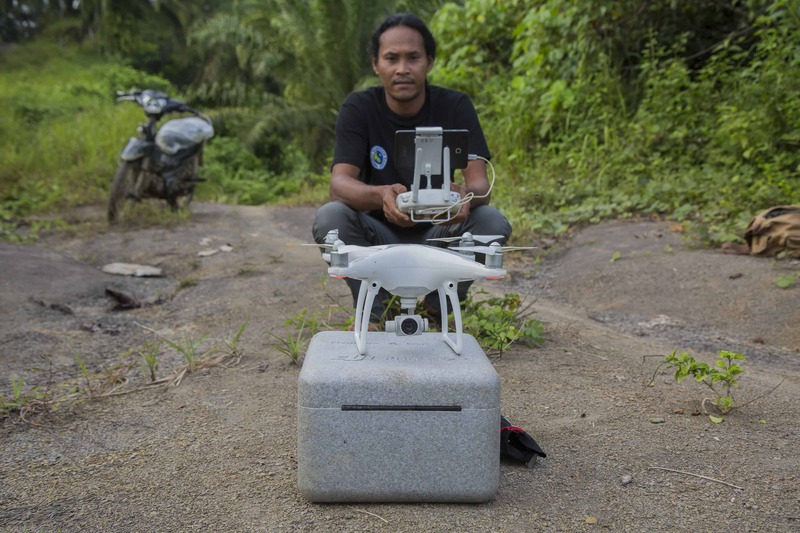 The award of the Friendship Grant enables the Ranger team to patrol more regularly, work with other Ranger teams in the Aceh and Jambi provinces and increase Rangers’ professional skills. The purchase of additional camera trapping equipment, transport and a highly-regarded tracking system known as SMART monitoring (Spatial Monitoring And Reporting Tool) will facilitate accurate intelligence gathering and reporting of poaching activities and illegal palm oil planting, and identify patterns of wildlife behaviour. In so doing the Community Rangers are leading long-term conservation efforts in the beautiful place they call home.